David J. Maness has been a director of the Bank since 2003 and of Isabella Bank Corporation since 2004. 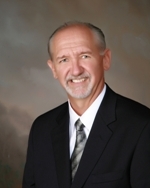 Mr. Maness has served as Chairman of the Board for the Corporation and the Bank since 2010. He is President of Maness Petroleum, a geological and geophysical consulting services company. Mr. Maness is currently serving as a director for the Michigan Oil & Gas Association, and he previously served on the Mt. Pleasant Public Schools Board of Education. 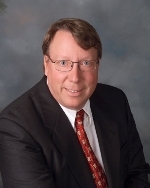 Dr. Jeffrey Barnes has been a director of the Bank since 2007 and of Isabella Bank Corporation since 2010. Dr. Barnes is a physician and shareholder in L.O. Eye Care. 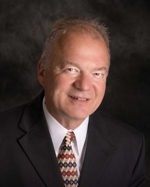 He is a former member of the Central Michigan Community Hospital Board of Directors. 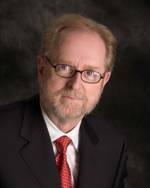 G. Charles Hubscher has been a director of the Bank since 2004 and of Isabella Bank Corporation since 2010. Mr. Hubscher is President of Hubscher and Son, Inc., a sand and gravel producer. He is a director of the National Stone and Gravel Association, the Michigan Aggregates Association, serves on the Board of Trustees for the Mt. Pleasant Area Community Foundation, and is a member of the Zoning Board of Appeals for Deerfield Township. 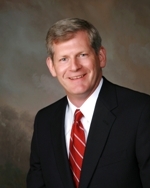 Gregory V. Varner has been a director of the Corporation since 2015 and a director of the Breckenridge Division Board since 2004. Mr. Varner is the Research Director for the Michigan Bean Commission and also operates a small farm in Breckenridge, Michigan. Mr. Varner also serves several different community organizations including the Breckenridge Educational Foundation, Pardee Cancer Fund of Gratiot County, Breckenridge FFA and Booster, and the Dry Bean and Sugar Beet Research Farm Committee. Jill Bourland has been a director of the Bank and of Isabella Bank Corporation since August 2017. Ms. Bourland is a CPA and the CEO for Blystone & Bailey, CPAs, PC. She is the Vice President of the Mt. Pleasant Area Community Foundation and involved in the business advisory committee for the Gratiot – Isabella Technical Education Center. 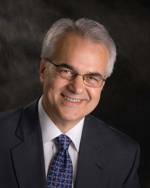 Joseph LaFramboise has been a director of the Bank since 2007 and of Isabella Bank Corporation since 2010. He is a retired Sales and Marketing Executive of Ford Motor Company. Mr. LaFramboise continues to serve Eagle Village in Evart, Michigan on their Finance and Facilities Committee. Sarah R. Opperman has been a director of the Bank and Isabella Bank Corporation since 2012. Ms. Opperman was employed by The Dow Chemical Company for 28 years, retiring as vice president of Global Government Affairs and Public Policy in 2009. She previously was a member of the CMU Board of Trustees, completing an eight-year term in 2016. She currently serves on the CMU Advancement Board, chairs the MidMichigan Health Foundation and is treasurer of the United Way of Midland County. Thomas Kleinhardt has been a director of the Bank since 1998 and of Isabella Bank Corporation since 2010. Mr. Kleinhardt is President of McGuire Chevrolet, is active in the Clare Kiwanis Club, and past coach of the girls Varsity Basketball team for both Farwell High School and Clare High School. W. Joseph Manifold has been a director of Isabella Bank Corporation since 2003 and of the Bank since January 1, 2010. Mr. Manifold is a CPA and retired CFO of Federal Broach Holdings LLC, a holding company which operates several manufacturing companies. Previously, he was a senior manager with Ernst & Young Certified Public Accounting firm working principally on external bank audits and was CFO of the Delfield Company. Prior to joining the Board, Mr. Manifold served on the Isabella Community Credit Union Board and was President of the Mt. Pleasant Public Schools Board of Education. W. Michael McGuire has been a director of Isabella Bank Corporation since 2007 and of the Bank since January 1, 2010. Mr. McGuire, an attorney, retired in August 2013 as the Director of the Office of the Corporate Secretary and Assistant Secretary of The Dow Chemical Company, a manufacturer of chemicals, plastics and agricultural products, headquartered in Midland, Michigan.